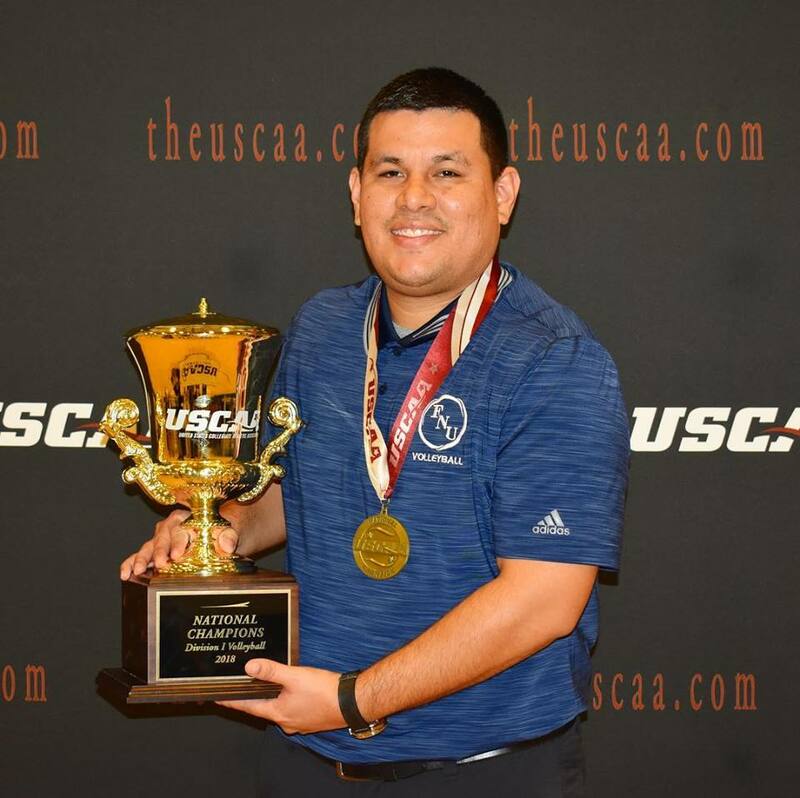 VIRGINIA BEACH, VA– The Division I USCAA Volleyball National Championships pitted Florida National University against St. Mary of the Woods. This was St. Mary of the Woods fourth straight appearance in the finals, however, they lost to Florida National in an intense four set match (25-15, 25-17, 21-25, 25-22). In the second set, both teams were neck and neck early before kills by Maricielo Redhead and Bawedin put Florida National in the lead. Bawedin continued to accumulate kills and the Conquistadors were able to fend off the Pomeroys to take a 2-0 lead. “I will tell you in 20 years” – referring to former coach Amos Alonso Stagg who was a pioneer in the early days of football. He led a number of programs including (what is now) Springfield College, The University of Chicago and The College of the Pacific, putting together career record at the college level of 314-199-35. Stagg’s Chicago teams, which played in the Big Ten at the time, were twice recognized as national champions. After coaching his team in the college football national championship game, Amos Alonso Stagg was asked ” What do you think of your team?” He responded, “I’ll Let you know in 20 years”. He knew that his greatest victories as a coach of young people had very little to do with a scoreboard and much more to do with the impact he would have on the rest of their lives. 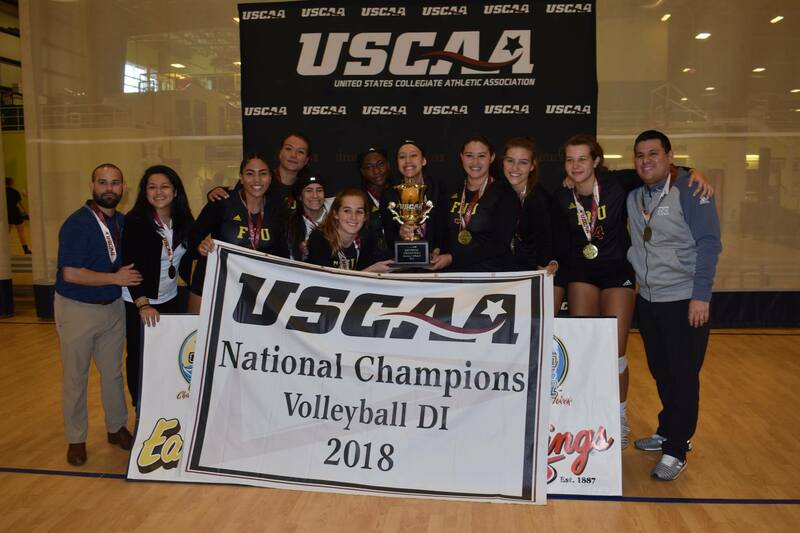 Two FNU players made the 2018 USCAA Division I Volleyball National Championship All-Tournament Team and Ines Bawedin, who ended the game with 32 kills and a .441 hitting percentage, was awarded as USCAA National Championship MVP (most valuable player). 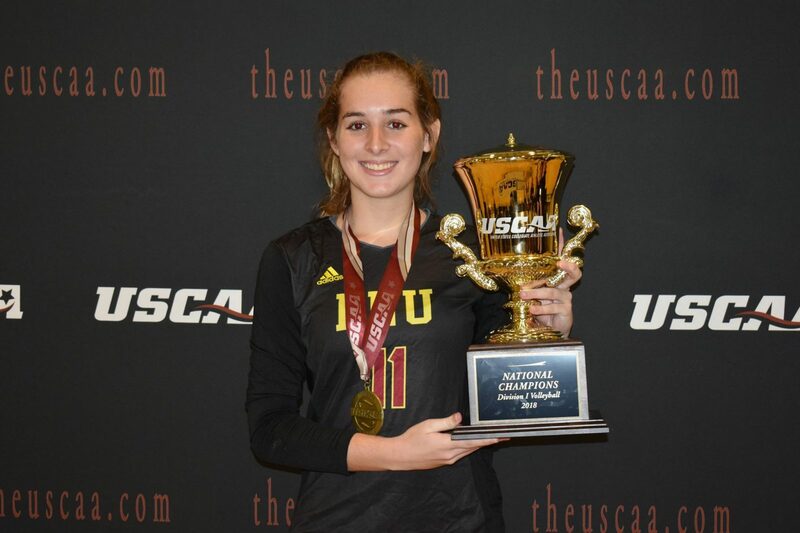 Carolina Dantas – Florida National University – 2018 USCAA Division I Volleyball National Championship All-Tournament Team. 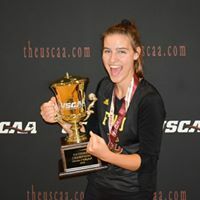 Camilla Kahlich – Florida National University – 2018 USCAA Division I Volleyball National Championship All-Tournament Team. 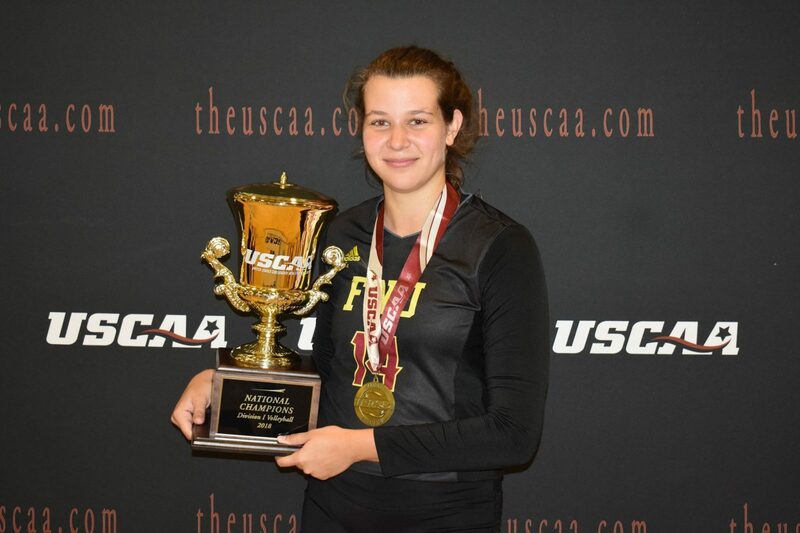 Ines Bawedin – Florida National University – 2018 USCAA Division I Volleyball National Championship MVP.